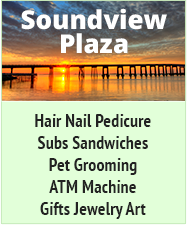 I found a condo for sale on the sound side near the Gulf Islands National Seashore. The stock market is primed for a big correction. I am looking for investments that I can control. 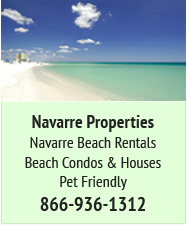 So what is the rental condo income potential for Navarre Beach. The condo that I am looking at is 3 bedrooms, 2 baths with about 1200 square feet of room. I would like to hear from anyone but especially actual condo owners. I am a sponge of knowledge. Opinions vary, but not by as much as you think. As far as income goes, remember; location, location, location. If you are a long way from the pier end of the beach, then while you'll certainly appeal to some groups of people, you'll not appeal to the majority, who want to be at the eastern end. Assume a worst case as far as occupancy day numbers (lets say the place is rented out to visitors for just four months of the year) and any extra days, weeks, or months rented are a bonus. Unless you rent to a 'resident' kind of family group (rather than weekly vacationers), what you'll get will depend on the time of year. Check with several of the local agencies about actual amounts they'd pass onto you once fees, reserves, taxes etc are taken. Oh those taxes... Also remember, that under state law, you only get a very limited number of "free" weeks for your own use at a vacation rental condo now. Oh yes, yet another "tax". I know of one person who rented out a unit at the western end of the beach on an annual basis, and used the profit to buy a small one bedroom unit for her own personal and un-rented use she was so ticked off at all this taxation to use what you already have. Someone else we know is considering ending rental of her place and just living in it. Also consider insurance. You need more than you think when compared to anywhere else! You'll need wind, flood, re-building... One of the benefits of renting out through a decent company (for example, Century 21) is that the HOA fees include all (well, a big proportion) of this. But remember another event like Ivan (we'll never get another one like Ivan.... RIGHT? Ha!) will still land you with big bills... Oh yes, and if you have never owned on the Island before, get an ID card from the water company office so you can actualy get onto the island to clear up your storm damaged place when the island is closed to tourists. If you don't you may find you can't get there for months and months. That single fact alone could cost you thousands! 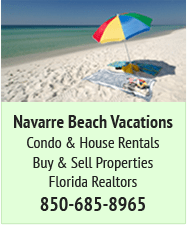 If you are doing this out of fear of a stock market downturn, remember that renting at Navarre Beach is likely to also be affected - quantities of renters and also possibly rental rates will go down when we get another prolonged market downturn. Like many things investment related, you may need to view it as a long term thing and just grin and bear it. You might like to become a member of the Leasholders Association http://www.navarrebeach.org/ as they have much information for those of us on that side of the fence, even if the big issue they took on (taxation) was a losing proposition. My wife and I just sold a gulf-front Gulf Shores condo this spring that we rented out for about eight years, and I have a couple of thoughts. First and foremost, it probably won't cash flow. Our summers were great, and we had snowbirds for ten to twelve weeks each winter, but the shoulder seasons were mostly dead. Unless you live very close, you'll probably want to let a rental management company handle the bookings and the day-to-day issues, but they'll also take 25 to 30% of the income. In your case, I would also think a soundside condo isn't going to rent well to vacation renters, but you may do ok for longer term military and others who need a place to live for a couple/few years. Insurance isn't as bad as you might think, but depending on how your complex and association is set up, you may have to pay for cable, internet wi-fi, etc., that all renters expect these days. Everything but the power was included in the association dues for our unit in Gulf Shores. 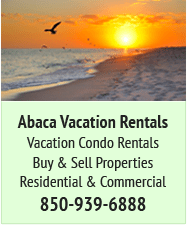 All in all, owning a beach rental condo isn't too bad, and it may be that we're at a point in pricing that you'll do ok in the long run when you decide to sell it. I agree with the comment above about the stock market. 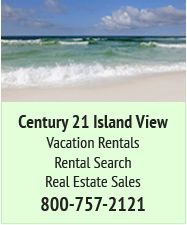 If the economy and market take a hit, beach rentals and property values will take a hit too. Good luck with it, do some research and make the decision that best works for you. I agree with both Bjrichus and Going Nuts on all points. We've owned Gulf-side, and never had a positive cash flow, can't even say we've broken even yet, although rentals have SLOWLY gotten better. We bought the Fall before Ivan, so you can imagine - Ivan, problems with building leaking for next year until sealed properly, pool closures due to storms, beach renourishment (a good thing, but harder to rent through), huge down turn of economy, condo developer issues, oil spill (! )....we are doing better, but I pray every year we do not get another hurricane there, and hoping real estate prices continue to go up. I am not sure about sound-side rentals (I just know they try to drop off their kids all day at our pool sometimes) - I believe rental rates are less expensive, which many people want and they don't mind not having the convenience being directly on the beach. A pool is a nice draw - people with young children especially like that in case of bad weather or jellies. We have a management company, but also use VRBO - management company will handle inquiries from that as well, if you'd like. Some people handle it themselves - make all the negotiations and bookings - then pass it on the the management company for payment. They only end up paying a 5%-10% commission. But even if you don't do the bookings yourself, VRBO is a great way to get more exposure - you will have reviews to deal with, so better be sure you have a good product! This is what is great about this forum -- information! I would like to hear from others about positive cash flow. One factor might be the cost of the condo which is around $118,000. Is the price low enough to generate positive cash flow?